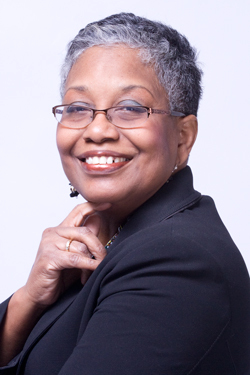 CHERYL WILLIS HUDSON is editorial director of Just Us Books, Inc., an independent publishing company that focuses on Black interest books for children and young adults. She and her husband Wade Hudson, founded Just Us Books in 1988 to address the need for more African American children’s books in the market place. Construction Zone was published by Candlewick Press in 2006. My Friend Maya Loves to Dance (illustrated by Eric Velasquez) was published by Abrams in 2010. From Where I Stand in the City (illustrated by Nancy Devard) is one of her titles published under the Marimba Books multicultural imprint. In 2003 Ms. Hudson was inducted into the International Literary Hall of Fame for Writers of African Descent. She is a frequent speaker on the topic of diversity in literature and has served as an parenting expert for ClubMom. She is also a member of PEN America’s Children Book Committee. Though I’m not typically a fan of the word ‘Afro’ prefacing anything ‘us’, (preferring ‘Afri’…afro is a hairstyle not a land or a people) …I thought ‘Afro-mations’ was cute! I’m also cheerleading Ms. Hudson’s dedication to providing our children with much needed books reflecting who they are! I can only smile at the thought of how many little self-esteems have been enhanced due to her efforts!